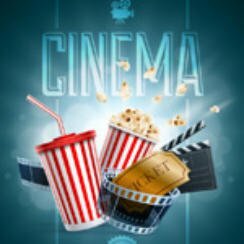 Popcorn Cinema Show takes a look at the weeks new releases (4 September 2015) for the UK, US, Australia and New Zealand at the cinema, plus all the weeks film news. So what will you be watching whilst eating your popcorn at the cinema.? Well if you are in the UK then maybe The Transporter Refueled. Sad news writer and director Wes Craven passed away on August 30 aged 76. Best known for the A Nightmare On Elm Street & Scream films, he enjoyed huge success within the horror genre. Jack Reacher 2 Release Date? Jack Dwyer (Owen Wilson) and his family have just moved into their new home in Southeast Asia, when they are caught up in a violent political uprising. With foreigners unwelcome they must look to escape. This is the fourth film in the series and this time there is NO Jason Statham instead Ed Skrein takes over the lead role. Mike (Jesse Eisenberg) is a seemingly luckless unmotivated stoner whose lives in a small town with his girlfriend, Phoebe (Kristen Stewart). Unbeknownst to Mike he is actually a highly trained, lethal sleeper agent. In the split second Mike’s secret past comes back to haunt him, and he finds himself in the middle of a deadly government operation. Ricki (Meryl Streep) is a musician who gave up everything to chase her dream of rock and roll stardom. Now she returns home looking to make things right with her family. Another poor week of new releases as far as we here at Popcorn Cinema Show HQ are conerned, we are not very keen on The Transporter Refueled. Please subscribe and leave a comment, and why not check out the rest of the site, we have Movie Reviews, Quizzes, Trailers, Blu-ray Deals, New Releases and lots more..